Each day, more healthcare professionals are switching from reusable instruments to disposable, single-use ones. There are several reasons why this tendency is growing, and will continue to grow in the years to come. Improperly cleaned reprocessed instruments pose genuine threats to patients. Plainly stated, would you like to have someone else’s blood clot, dead tissue or bone residue inside your body? Some instruments, like laparoscopic and endoscopic ones, have movable and sophisticated parts that are difficult to clean. Even after following the manufacturer’s instructions thoroughly, microscopic human remains can be lodged i n medical devices. Apparently, the well-known autoclave cleaning and disinfection process has not evolved in parallel to medical device technology. As a result, operating with improperly cleaned instruments puts patients at a high risk of surgical site infections (SSI), healthcare-associated infections (HAI) and cross-contamination. 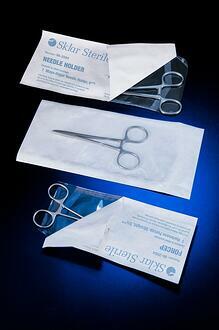 Disposable instruments are sterilized and individually packaged. They are meant for single-use and then discarded. Reusable instruments’ hidden costs. Some people might think that single-use instruments are a waste of money. In fact, the truth is reusables end up being more expensive. There are many hidden costs that go hand in hand with reusables. Take for example a pair of 4½” scissors at $25. Add to that a reasonable cost of the hospital to reprocess it at $5 each, add transportation costs to the autoclave facility, the cleaning microbicides and other items needed for disinfection, and another cost for packing them up, plus the human resources required in the process. After 10 uses, the scissors might need re-sharpening, which adds another cost. A single-use disposable pair of scissors might cost around $7.50, and although disposing of them after one use might seem wasteful, in the end, more resources and more money is spent on reusables. Besides, new technological breakthrough contributes to the production of higher quality instruments at lower costs. To the naked eye, it’s very hard to tell which pair of scissors offers the best quality, which is another reason why reusables are becoming less popular than their disposable counterparts. Waste. Biomedical waste is an obvious and inevitable by-product of the healthcare industry. Unfortunately, once used, disposable instruments fall into the category of biomedical waste and should be discarded of accordingly. All materials and devices that have been contaminated with blood, bodily fluids, secretions or excretions are considered hazardous materials and should be handled as biomedical waste. Improper management of this type of waste can end up in leaks that may lead to contamination and infection. This brings up another possible argument; disposable medical instruments are not environmentally friendly. Hospitals around the world produce large amounts of medical waste in a year, mostly coming from operating rooms. “The U.S. healthcare system is the second largest contributor to the 4 billion pounds of waste produced annually. As such, production of medical waste is one of the most critical factors to consider”1 when evaluating a medical device. However, for every problem, there is a solution. In many cases, as with plastic, the stainless steel used to make disposable instruments can be recycled. On the other hand, reusable instruments require thorough decontamination processes that need large amounts of water, disinfectants, detergents, specialized brushes, steam and electricity to process them for re-use. Think about the ecological impact these detergents and disinfectants have on the environment. This should be equally measured when comparing single-use disposables that get recycled. In conclusion, even though the topic of biomedical waste may be a cause of concern, it should not be taken as a threat. More recycling options are being developed each day as environmental concerns continue to rise. Risk and spread of infection is, and should be, the most important issue for all healthcare professionals. Overall, single-use instruments are proving to be a highly attractive alternative; and a more cost-efficient and time-saving method to prevent cross-contamination and the spread of disease. 1Reusables, Disposables Each Play a Role in Preventing Cross-Contamination. (2016, April 19). Amzallag, Thierry MD. (2010, June). Single-Use Instruments Becoming Better Options. Lanzer, Benita. (2016). Disposable or Reusable instruments in MIS. Morgan, Leslie. (2014, January 16). The Advantages of disposable instruments.